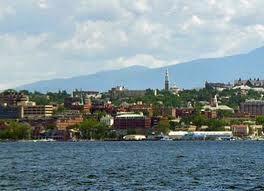 One of the many places that we love to do installations and maintenance is in the beautiful city of Burlington, Vermont. Burlington has a thriving art culture, gorgeous parks and great shopping and restaurants. Coming up on the 30th of this month is the Eggstravaganza Weekend. This fun and FREE family event has over 10,000 eggs, food, drinks and activities for all ages. Afterwards, you could stop by the Church Street Marketplace and browse through the incredible offerings of Stella Mae or Sweet Lady Jane. Pick up something a little more rugged at The Outdoor Gear Exchange. When you get hungry, you can enjoy a fantastic lunch at the Church and Main Restaurant. This dynamic and innovative restaurant supports sustainability and community activism and sources a majority of its ingredients and products from local purveyors. And the food is great! 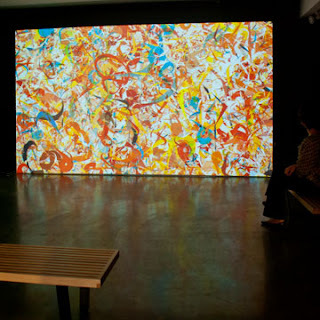 Burlington City Arts is another one of the perks of Burlington. The BCA Center's current exhibit from Casey Reas uses computer algorithms to create complex, organic abstractions. And the pieces are wonderful. Casey Reas - See it to believe it! We love working in Burlington! If you get a chance, you should take a visit to this city and see the wonders for yourself! We are so excited about this news we could just burst! We are BIG FANS of the Animal Planet show "TANKED". It's the story of 2 brothers, Wayde and Brett, and their business, Acrylic Tank Manufacturing (ATM). This is the LARGEST aquarium manufacturing company in the nation, and they create some pretty amazing tanks. 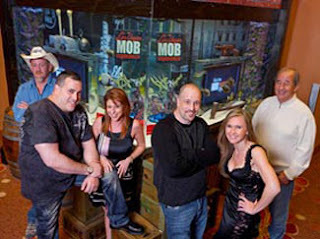 Their projects range from the regular to the incredible, and their energy and attitudes make for very entertaining television. But that's not what is so exciting! The really great news is that we've just become an AFFILIATE of ATM. In fact, we are the ONLY affiliate in NY outside of NY City. 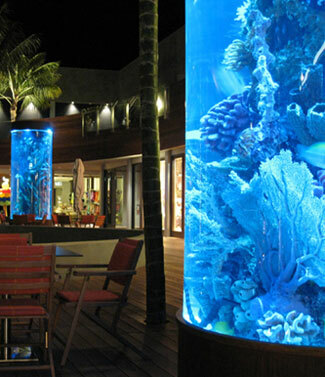 That means that ATM directs work to us for clients interested in aquarium maintenance and installation in upstate NY. So you can see why we're excited. We have always loved what we do, and we take great pride in our work. We're proud to be affiliated with a great company such as ATM, and we will continue to push to be the best in our industry in this area. So here's to great aquariums and great relationship! Hip Hip Hooray!